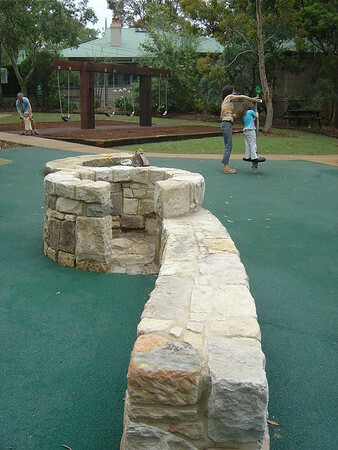 Based on an abstract interpretation of the Castle Crag peninsula this space seeks to celebrate the official and hidden history of the local community. 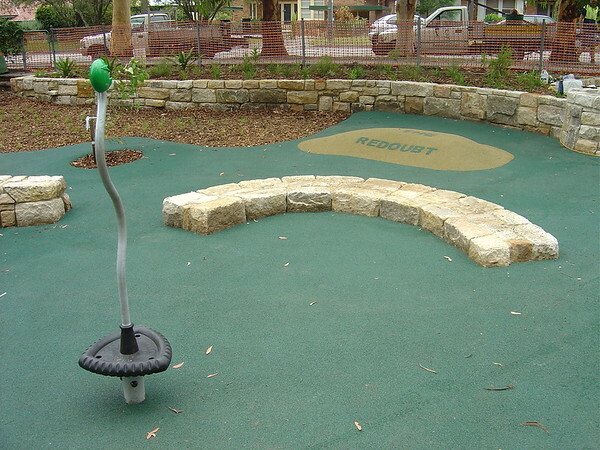 The suburb was designed by Walter Burley Griffin who named the streets after architectural elements in a castle. 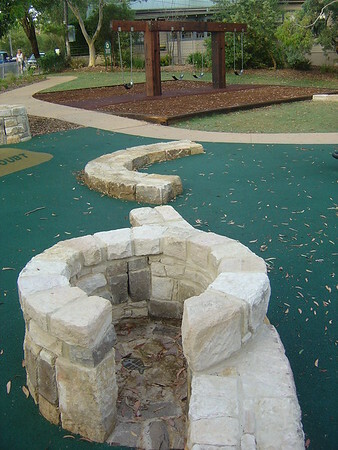 These elements were then interpreted and installed as playful elements including the Tower, Barricade, Parapet, Turret, Cortile, and Redoubt. 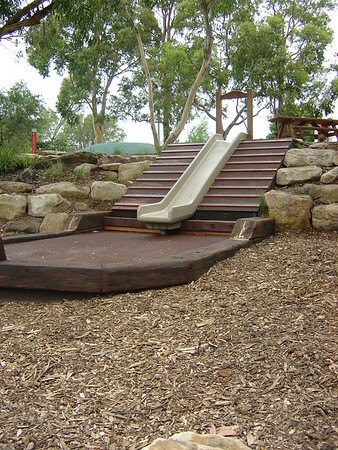 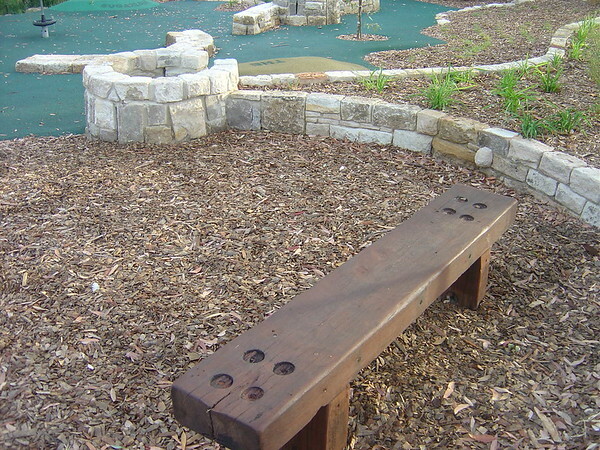 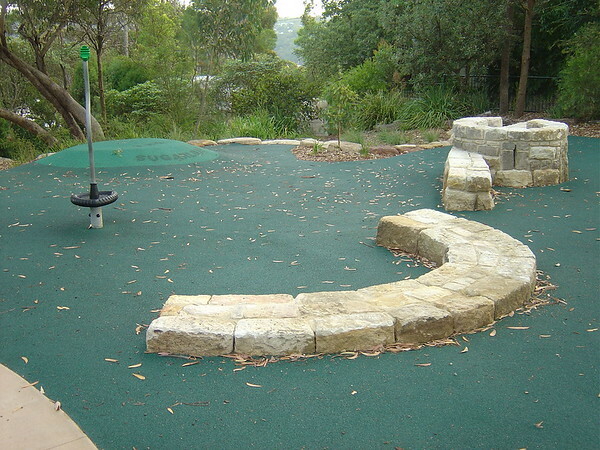 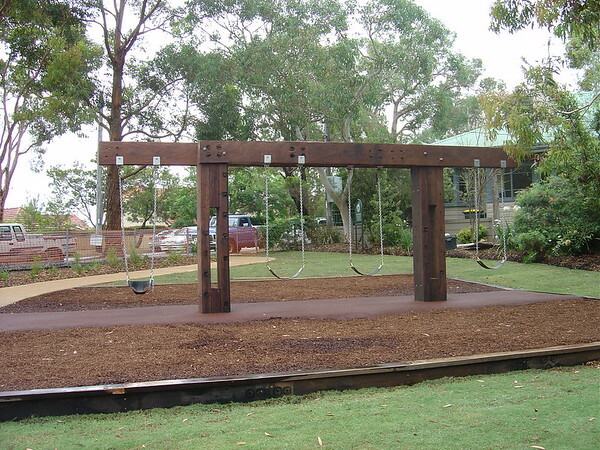 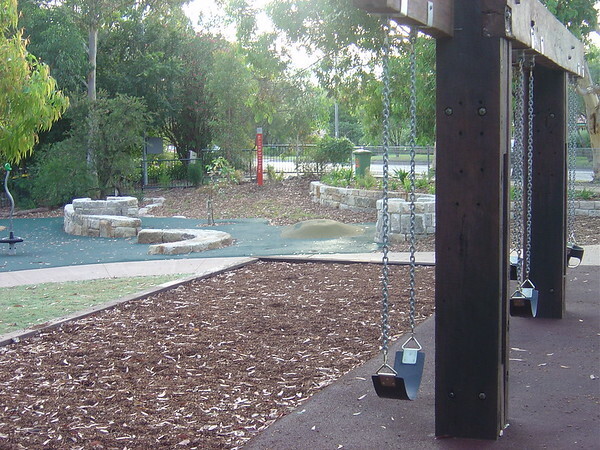 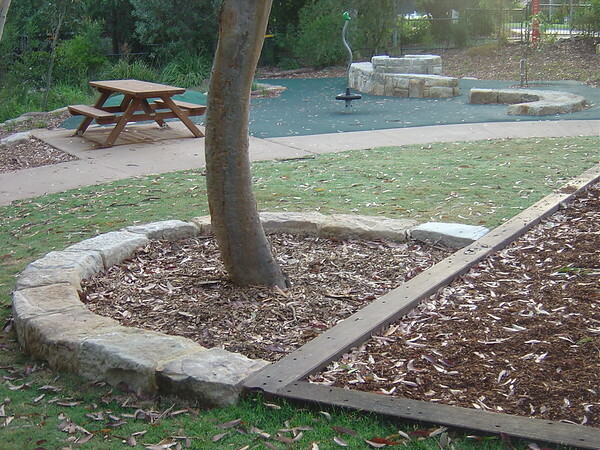 The swing and slide elements were created using old wharf timbers referencing the nearby Middle Harbour. 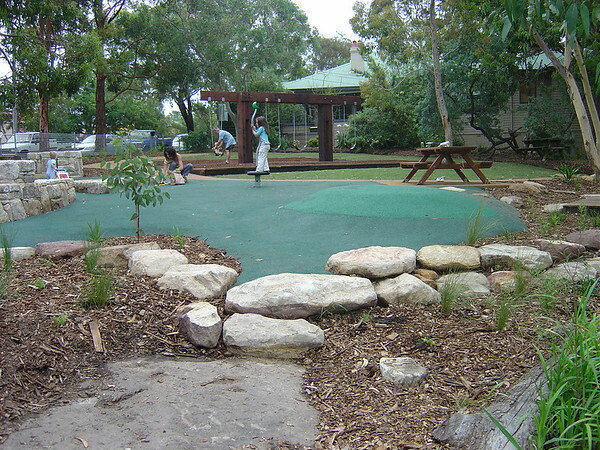 The local geography was interpreted and there was substantial collaboration with the local bush regeneration staff from Council to supply local native plants. 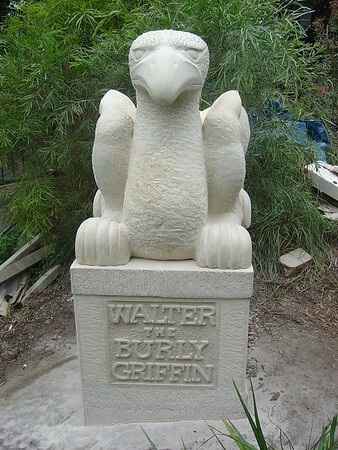 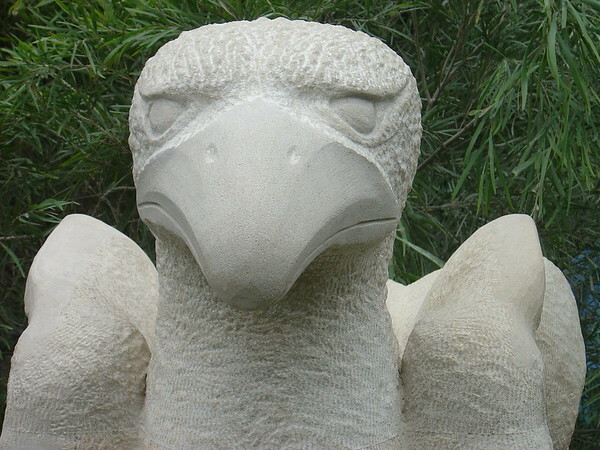 A play on words resulted in the invention of the statue of Walter the Burly Griffin for children to be introduced to the formal history and he is perched on a plinth which celebrates the work of Phyl Stoker who gave comfort and haven to many children in the area whilst there families were enduring hardship, and after who the park is named.